All it took was a word from Woozi. 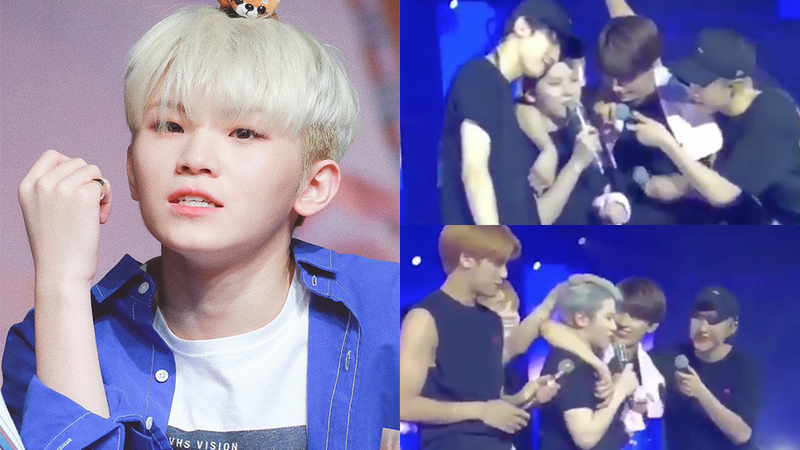 Despite his smaller or in fact, the smallest physique in the group, Woozi is one of the oldest in the group. On this day, with his members grouped up on him and teasing him, Woozi let himself be in the circle before going "Stop!" That immediately broke the circle around him made by his members. Also, the thing is no one dared to lay another finger on him after that. Watch the moment in the video above!